Overripe pineapples still bring a distinctive sweet-acidic flavor to dishes that can mask the fruit's slightly brownish appearance or somewhat soft texture. Because pineapples must be picked when they're ripe -- they don't ripen further after being picked -- the fruit could turn from overly ripe to spoiled within as little as 2 days once you get it home. Plan to use any pineapple kept at room temperature within 2 days, or cut the fruit up and refrigerate it for 3 to 5 days. Very fresh pineapples have fresh-looking leaves on the outside, firm skin and bright yellow flesh throughout the fruit. 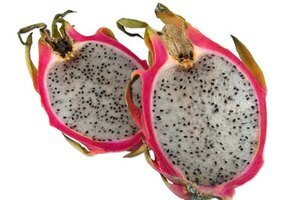 Overripe fruits, on the other hand, have drooping and dried leaves, softer skin and fruit that has soft or brown areas, but they are still safe to eat. Throw away your pineapple after 5 days in the refrigerator or if the brown areas also have whitish dots, which indicate that mold is beginning to grow. The juice from an overly ripe pineapple works for drinks of all sorts and for sauces to use for fish, poultry or meat because the pineapple's soft texture won't affect the dishes. 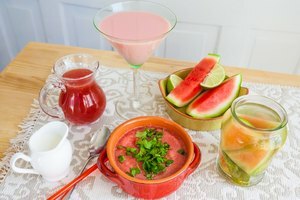 Simply prep pieces of the cut fruit in your blender or food processor, and drink the juice straight with a splash of carbonated water; or turn it into a cocktail by adding brandy, cognac, rum or orange-flavored Cointreau. For sauces, use pineapple juice in place of chicken stock or wine in savory dishes. Before the pineapple turns bad, cut it and freeze the pieces for up to 12 months to use for smoothies, frozen pops and granitas. To make a smoothie, use about equal parts of frozen pineapple chunks for the liquid, such as milk, coconut milk or orange juice; and add half those amounts of other ingredients that go well with pineapple, such as yogurt, strawberries, bananas and ginger. Use the juice alone with a bit of ginger, crushed mint or vanilla to freeze on sticks. 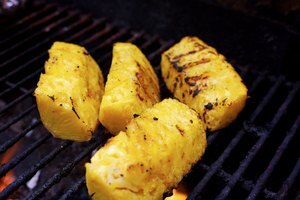 Both the color and texture of overly ripe pineapples are hidden when you cook with the fruit. Grill the fruit in slices to serve with a dollop of yogurt or ice cream for dessert; use it for baked goods like muffins, or upside-down cake; or add it, cut into chunks, to Asian-inspired stir-fries. Cook pineapple pieces on the stove top with a few tablespoons of water for about 10 minutes if you want to make gelatin. 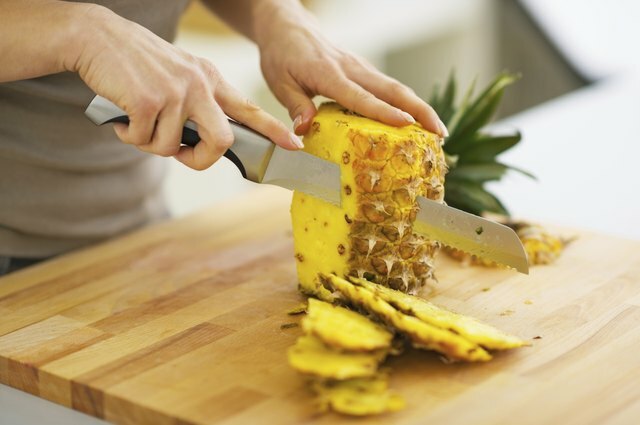 Fresh pineapples contain enzymes that break down the collagen protein molecules in gelatin too quickly for it to set -- and cooking destroys the enzymes. UCSB Science Line: Why Can't You Put Pineapple Pieces Into Jello?